That was the message that resonated loud and clear on Oct. 18, 2011, at the first-ever “Industry Day,” hosted by Virgin Galactic and its production company, The Spaceship Company, in cooperation with the New Mexico Spaceport Authority. The event was designed to actively recruit high-quality local and international suppliers eager to join both companies in making history with the emergence of the world’s first commercial spaceline. More than 400 interested suppliers registered for the chance to attend the invitation-only event, which was held at Spaceport America near Las Cruces, N.M. Two hundred lucky companies secured invitations, including a substantial number of U.S. and in particular, New Mexico-based suppliers, as well as some from more distant locales like Great Britain and Israel. 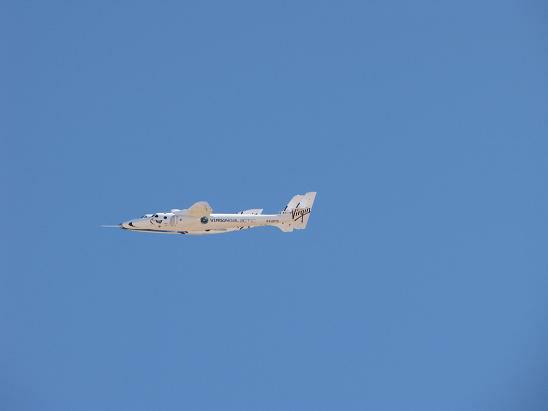 The day-long event immersed attendees in Virgin Galactic and The Spaceship Company’s plans. Additional highlights included a trip to see the newly christened Virgin Galactic Gateway to Space at Spaceport America, and an up-close opportunity to view and take photos of Virgin Galactic’s revolutionary spaceflight system, consisting of WhiteKnightTwo and SpaceShipTwo. A supplier portal on the Virgin Galactic website is currently in development to allow suppliers unable to register for the event the chance to express their interest in becoming a supplier. Also, plans are underway to make “Industry Day” an annual event, alternating between the New Mexico location and TSC’s FAITH facility in Mojave, Calif.